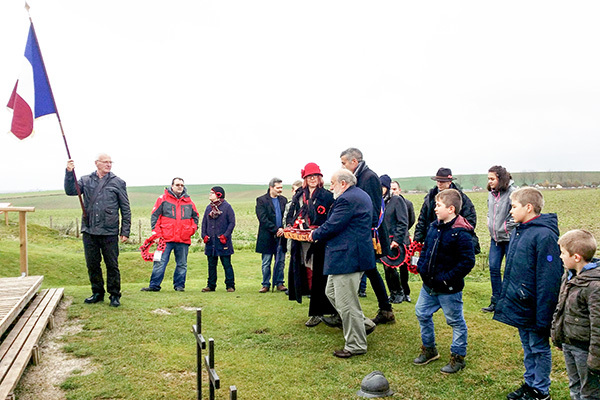 In 1989 Richard Dunning MBE, the owner of the Crater, suggested to a number of Great War devotees who regularly gathered at Lochnagar, that we form ourselves into a an informal group and the Friends of Lochnagar came into being. The Friends are an active, creative and very sociable and welcoming organisation. 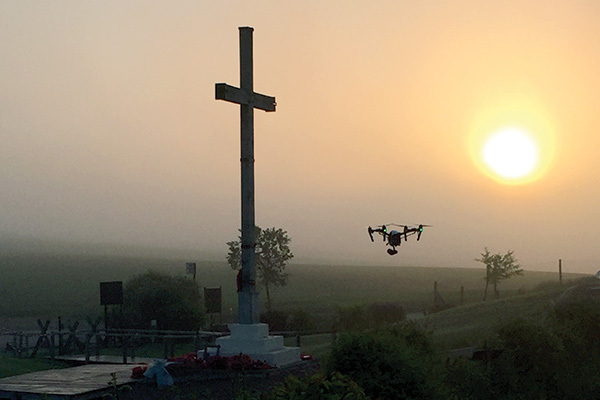 As well as tending to the maintenance and preservation of the site, every year a formal service and wreath laying ceremony is held at the Lochnagar Crater on July 1st at 7.30 a.m. to commemorate the opening of the British infantry assault of the Battle of the Somme. This is followed by four short commemorative and wreath laying services at the memorials in the village of La Boisselle. 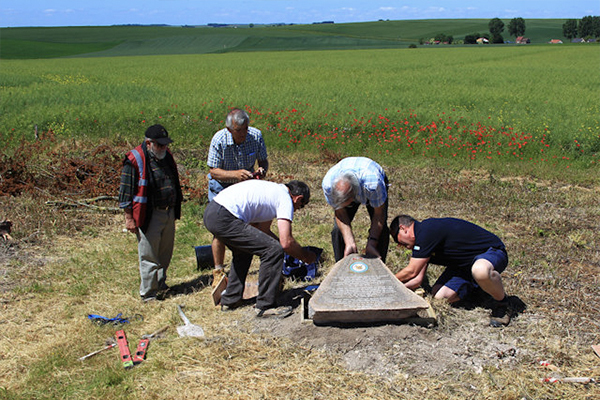 In recent years Friends have joined with the Mayor and villagers of Ovillers-la-Boisselle in commemorative services at the French and British memorials in the Commune. These services take place on November the 11th, Armistice Day. A wreath is laid at the Lochnagar Cross on this special day by the Friends of Lochnagar. The first of our two annual dinners is held on July 1st at our Somme headquarters at the Hotel de la Paix in Albert. Our second is held in Nottingham at the end of October. These two dates have attained a very special place in the hearts of The Friends of Lochnagar and all Friends are welcome. To communicate and interact with our members, we publish our journal, ‘Lochnagar Crater Today’ , twice yearly to which we encourage all Friends to contribute articles and information, from all theatres and subjects of the Great War. We also produce a Newsletter (Example) twice yearly and maintain this website. We also invite members to join our email discussion group to keep in touch and up to date with developments. A selection of the latest news and extracts from articles within the Friends’ Newsletter. 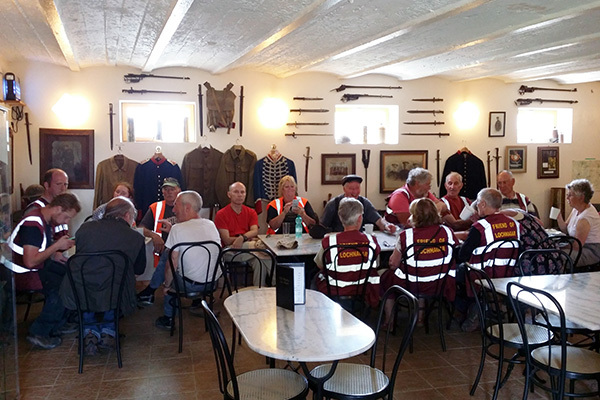 The Friends of Lochnagar is a non-profit making organisation furthering the memories of the Great War. To keep alive the memory and to commemorate the events of the Great War. To ensure that the men who served in the First World War are not forgotten. 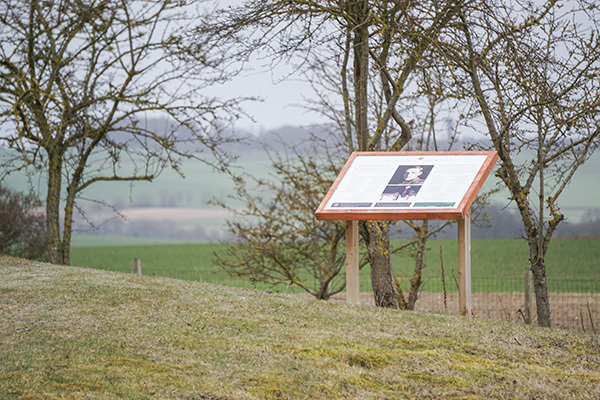 To encourage and facilitate the study of the Battle of the Somme and all theatres of the Great War so that lasting benefit can be gained from its valuable lessons. 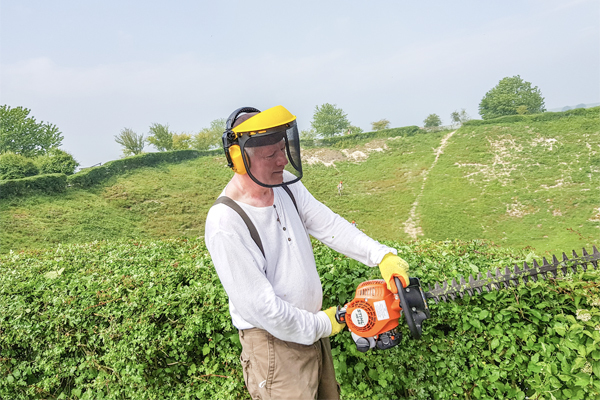 To support Richard Dunning, owner of Lochnagar Crater Memorial, in the upkeep and maintenance of the Lochnagar Crater historical site. The Friends have members worldwide. 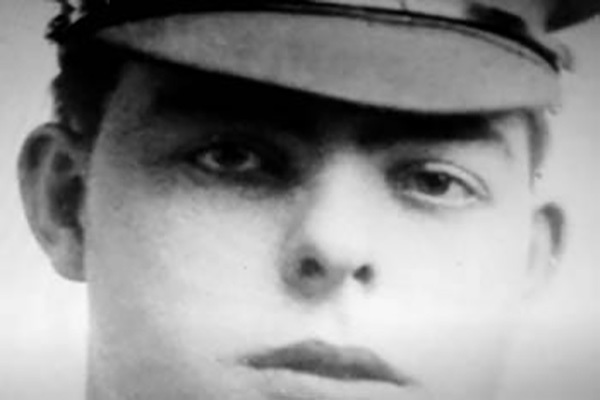 They range from authors, Great War specialists and amateur historians to relatives of those who served and died and those who simply want to remember. 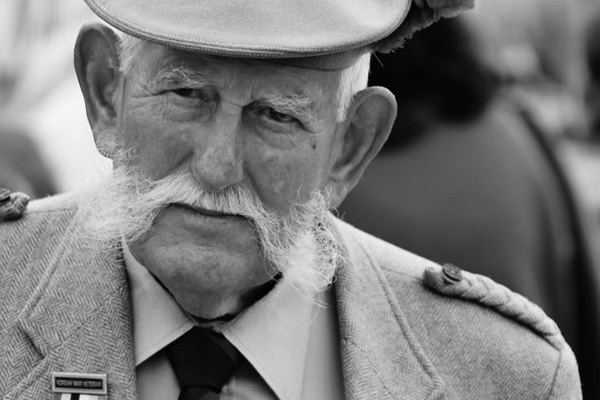 Unfortunately, no longer, have we members who were veterans of the Great War. Since its founding in 1989 the Association has widened its membership and is still growing healthily. Rates, details and application form can be found on the membership page.